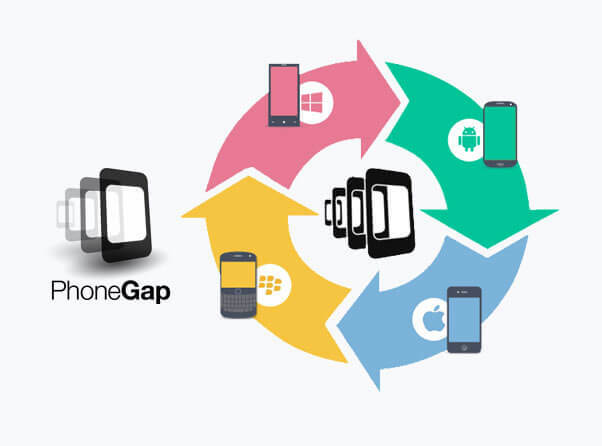 Since the launch of PhoneGap development, we have great experience in developing awesome mobile apps using the same. We develop highly functional and versatile app of topmost quality which will ultimately lead to increase in ROI. Our proficient team works on a simple principle of coding once and running anywhere. In other words, once the coding is done by our PhoneGap development team, the app is compatible across different mobile operating systems. Our developers will give you the confidence that your app will work perfectly and smoothly, on the devices that you are targeting, and will deliver you the app as per our comittment. PhoneGap App gives you the access to device APIs which is not available in web browsers. Why to go for PhoneGap Development? Used with different operating systems like Windows 8, Blackberry, Android, iOS etc.